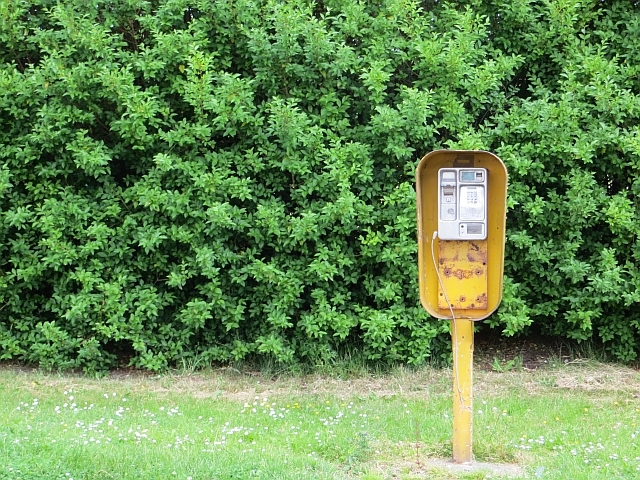 An all but unprotected replacement for a traditional box, or additional public telephone. These were particularly popular in the late 1970s and I doubt many of them survive. The outline of the older deeper telephone can be seen. These were grey and had two coin slots one for a 2p coin and the other for a 10p coin.